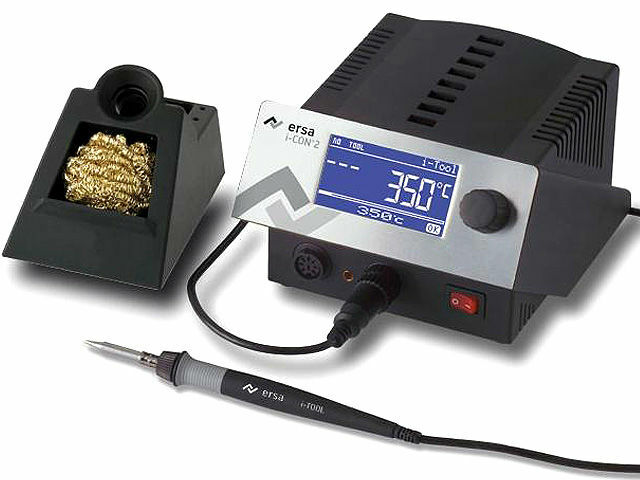 ERSA-I-CON2 digital soldering station is equipped with the ERSA-0100CDJ soldering iron of 150W. It can be easily used for soldering numerous electronic components, even those characterised by high thermal capacity. It is also equipped with an additional output which allows for connecting optional accessories, such as desoldering iron or hot microtweezers. This is a perfect solution for servicing and production works. additional output allowing for connecting optional accessories.